Cranberry Township in Pennsylvania has seen immense revenue growth due to the shale gas boom. No shale gas wells have been permitted or drilled in the entire township. What they did was create an atmosphere that caused the regional headquarters of shale gas players to be located there. Support personnel such as accountants, lawyers, repair and maintenance outfits and other professionals followed. It was simply a great place to live, work and be entertained. 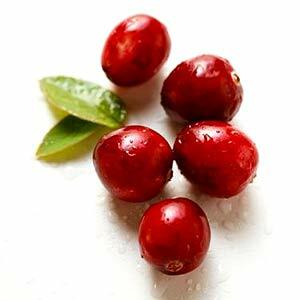 The Cranberry Effect can be replicated elsewhere with different tactics. One simple one is in the area of fuel consumption. For areas served by natural gas, the use of heating oil for homes is wrong on the basis of economics and the environment. The consumption of heating oil is old and cumbersome. Trucks deliver oil to homes, consuming fuel as they do so, and the combustion process produces more emissions than from gas. And it costs 3 to 4 times as much as gas, although retail gas and oil prices can be variable. Retrofit costs are an issue but the payback should be short if gas prices stay low, and that is the telling point. They will stay low. Amy Jaffe and colleagues at the Baker Institute in Houston recently published a study of various scenarios of shale gas usage. In the unfettered use case (no blanket prohibitions as in New York state today), the average annual price never goes up above $5.80 for thirty years. Using a different approach we too predicted along similar lines in an earlier publication. A definitive switch to methane substitution of diesel and gasoline in fleet type vehicles would also be effective. In fleet situations such as taxis, buses and the like, one of the drawbacks, that of convenient recharging, is ameliorated. But the big bang in terms of economic gain and jobs is in the chemical sector. This has many facets that depend upon natural gas or associated fluids for feedstock. We will key on one by way of example. 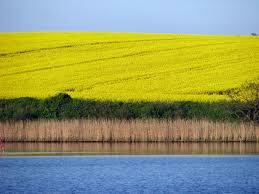 Nitrogen based fertilizers: Modern agriculture relies dominantly on synthetic fertilizers. The most important one is ammonium nitrate, which also has an unfortunate use in explosives as well (think Oklahoma Federal Building bombing). Another one is urea, much of which is used in the production of rice. As a major producer of crops, the US is a significant user. Much as in the case of oil, we use a quantity disproportionate to our population: 12% of the world usage as against 5% of world population. The primary feed for this fertilizer is ammonia, which in turn is completely dependent on natural gas, which accounts for 90% of the cost. The high and erratic prices of natural gas caused over half of the industry to flee to other parts of the world with low cost gas. Trinidad and Tobago is the largest supplier by far, followed by Canada and Russia. Cheap shale gas is luring this industry back. Given the importance of food to the nation, it would not be much of a stretch to suggest that fertilizer is a strategic commodity and that domestic production is a welcome change. Prior to the flight abroad the US was a net exporter. This could happen again. It might also not be off base to suggest the possibility of reduced food prices due to a consistently low fertilizer price. Were this to happen the irony would not be lost that the last time the nation discussed the food/fuel nexus it was the anxiety occasioned by beef prices rising due to diversion of corn to ethanol. The time could be right for a non producing state such as North Carolina to take a policy stance of encouraging fertilizer production in the state using cheap natural gas from the Marcellus. At first blush the location of choice would be the Wilmington area. The port would make this particularly attractive if export were to be a significant objective. In purely economic terms the value created is considerable. The cost of the raw material at today’s price of $2.50 per million BTU would be about $84 per ton, against a selling price for anhydrous ammonia of about $800. That is a lot of economic value accruing to the state even with a more normal gas price close to $4. The associated jobs would be high paying and long lasting. Drilling jobs by comparison are more transitory. If the drilling did happen in the state, the jobs would be elsewhere in the state as would be the associated nuisance of truck traffic and the steps to ensure minimizing environmental impact. The Cranberry Effect can also be manifest in North Carolina in the fiber products arena. The ethane present in wet shale gas in the Marcellus and Utica will cause a renaissance in US ethylene manufacture. It will make sense to crack the ethane to produce ethylene in the production states. But the downstream products such as polyester fabrics and PVC pipes could be made in any proximal state. Here again would be high value products for domestic consumption and export. As to the latter, expect the US to be one of lowest cost producers of ethylene in the world. That will translate into low cost derivative products as well. States without shale gas ought to exploit the Cranberry Effect. Great perspective. I enjoyed reading this, and wholeheartedly agree with the core claim that the nation’s NG situation can lead to a technology-oriented boom in chemical industries, and that the right business environment can make all the difference for communities. I have one lingering critique that I want to comment about. The geographic regions that benefit from shale gas exploration and development have good growth prospects especially if you believe, as I do, that the current prices are relatively cheap. As the competition for consumption of natural gas builds and the price rises, we will see more activity in the upstream business and more pressure on the margins of those chemical industries that take NG as a feedstock. Basically, I’m saying that the type of activity you’re talking about is inversely correlated to the price of NG, unlike shale gas development itself. This isn’t necessarily a bad thing. Rising prices of the feedstock does not shut down a chemical plant, of course. More than likely, the capital is a major part of the cost of the plant, and the marginal cost of operation will be low enough to keep it running at most thinkable future NG prices. The community where these are located would not see diminished ‘value added’ effects even if the capital rate of return was no longer competitive. Nonetheless, the perception of future NG price movements and the ability to hedge against those risks should play a major role in the decisions of those companies that decide to locate their next facilities in the United States. Thinking about these (and other) topics, I made my own blog post actually. The Cranberry hypocrisy at work. While Cranberry overwhelmingly supported McCain Palin (drill baby drill) they don’t support drilling in their own back yard. Typical of the right wing. A bunch of B.S..
More Cranberry hypocrisy. Less government in your life? Building a public golf course (Cranberry Highlands) is not less government in your life, it is more. When I think of all the work and investment that was put into Strawberry Ridge golf course by the private owner while just miles away the government of Cranberry is building a golf course I wonder what they were thinking in Cranberry. I guess the tea party wasn’t born yet or they would have surely protested this.Daryl Metcalfe was born and he stood idly by while this socialist undertaking was in progress. Let’s sell the postal service and the national parks is the cry of the right wing. Lets sell Cranberry Highlands too!! « Can NC Profit from Shale Gas without producing it? You are currently reading THE CRANBERRY EFFECT: GAIN WITHOUT THE PAIN at Research Triangle Energy Consortium.